회원가입해야 기사를 볼수있어 발취한 글도 올립니다. 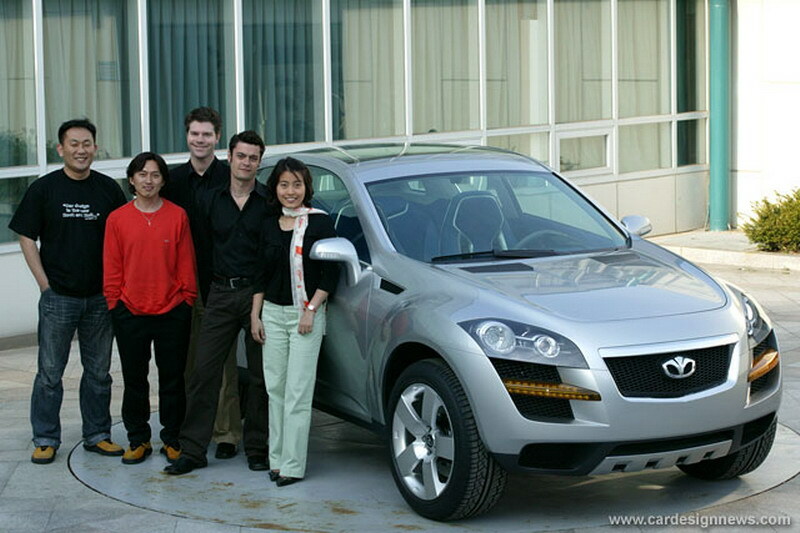 May 6, 2005 – The last time the Seoul Motor Show was at full strength, with domestic and foreign manufacturers all participating at the show, was 1997. For Daewoo, 1997 was also the year in which they came under the control of General Motors, without any promise of what the future would hold for the once-proud company. After eight years, with the Seoul show now including all the major international manufacturers, GM Daewoo have bounced back to unveil their ambitious new T2X concept. Like so many of the cars at the show the T2X is a sports crossover, which Max Wolff, GM Daewoo Deputy Director of Advanced Design, describes as a 'segment-busting concept'. 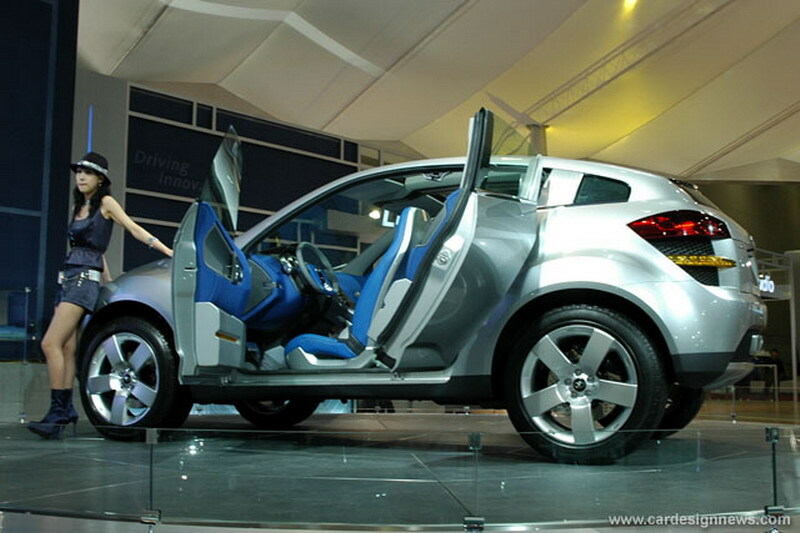 Segment busting it certainly is, as the designers of the T2X were told to create a 'coupe-style SUV', rather an unusual combination, to enhance the image of Daewoo/Chevrolet as a 'young and sporty' brand identity. 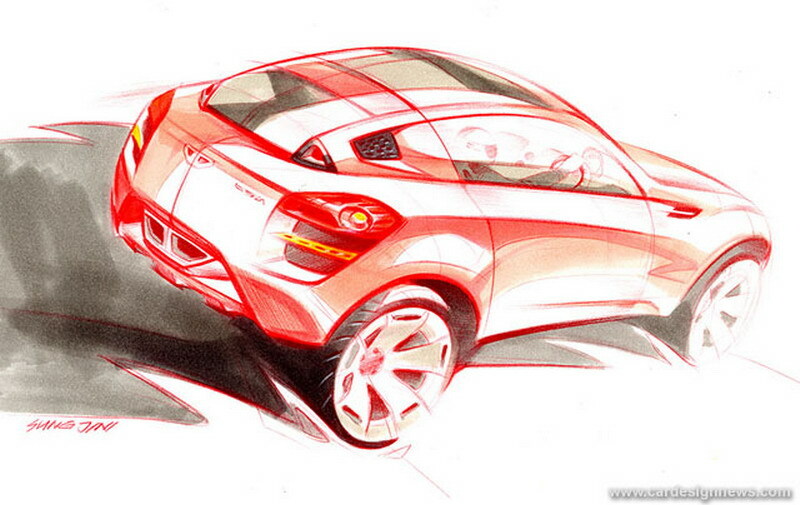 The overall design isn't as radically conceptual as it could be, but that's because the design brief also called for the car to be refined enough to be produced in the near future. The T2X shows this 'coupe-SUV' theme clearly with a long hood line and a cab-rearward profile, long wheelbase, and short overhangs at both ends giving an athletic stance. The A-pillar is raked back similar to that of a sports coupe with the roofline running in a single sweep to the rear of the vehicle. The exterior design was led by ex-Volkswagen designer Sung-Jin Yong, and there are plenty of European styling elements on the T2X. The dynamic stance is best shown in side view, where large, dominating wheel-arches act as the cornerstones of the car, with a dynamic belt line rising up strongly toward the rear. Design details include aggressive 'prism-style' headlamps and LED indicators, located within GM's now-famous front and rear side air-intakes. The pillar-less clamshell doors give easy ingress/egress for the passengers at the rear, even though this door configuration was chosen late in the program, with the vehicle originally developed to be a three door coupe. 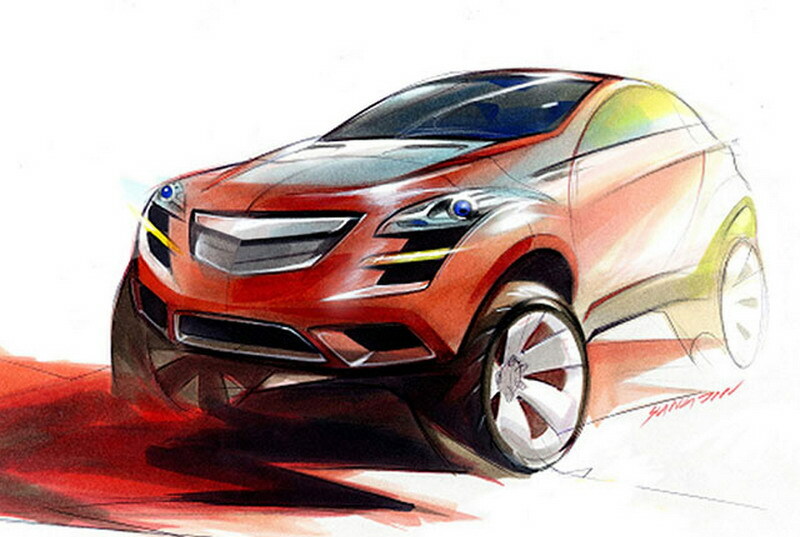 As with many concept vehicles, some detail development was left wanting. Slightly timid treatment of the front and rear skirts for an off-roader, an ambiguous 'wedge' lower body side feature and almost identical design details of the front and rear will likely be further refined in a production version. 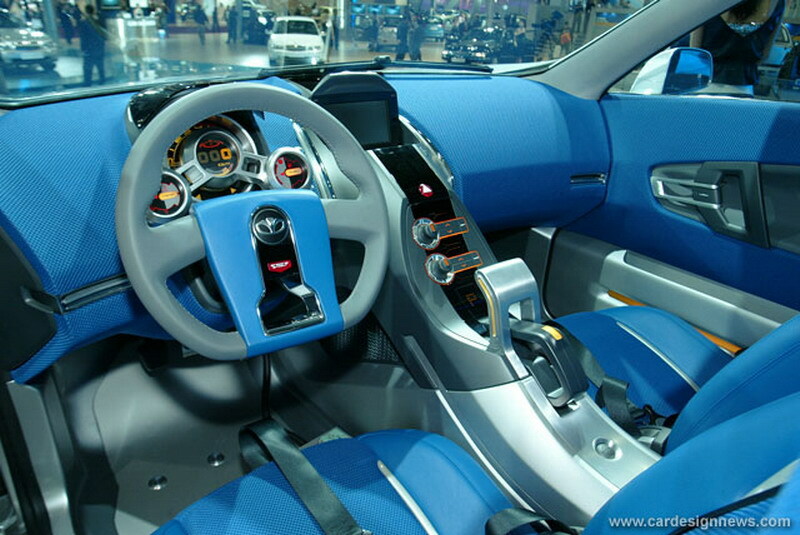 What sets the T2X apart from other crossover concepts is the interior. 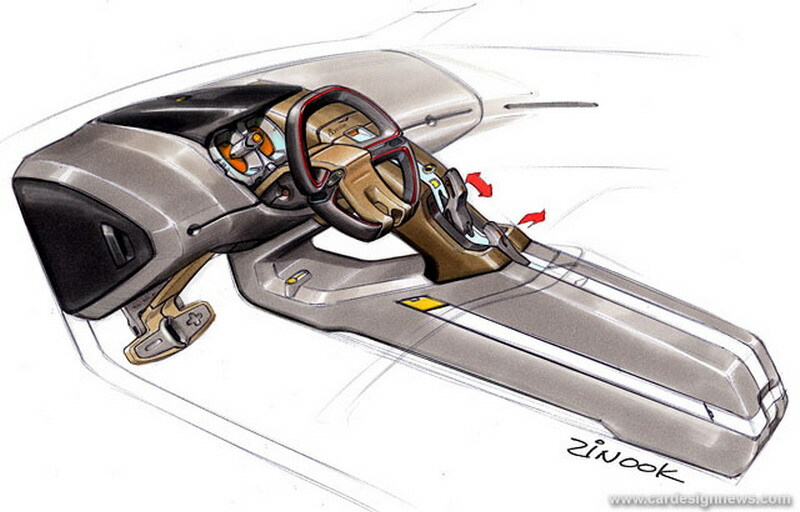 The design, led by designer Jin-wook Choi, shows a futuristic, cylindrical console and center spine connecting through to the rear seats for an aircraft-cockpit like feel. 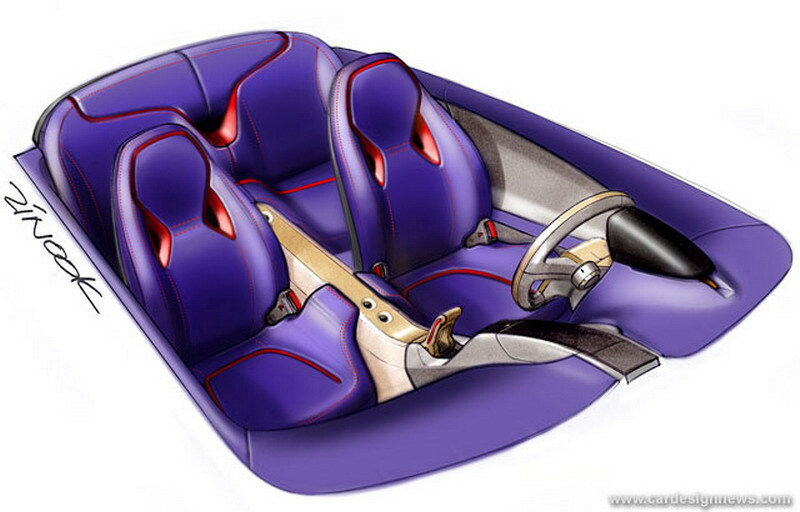 Adding to the overall theme of 'athletic and sporty', the designers have followed a careful plan to incorporate functionality to the vehicle as well. 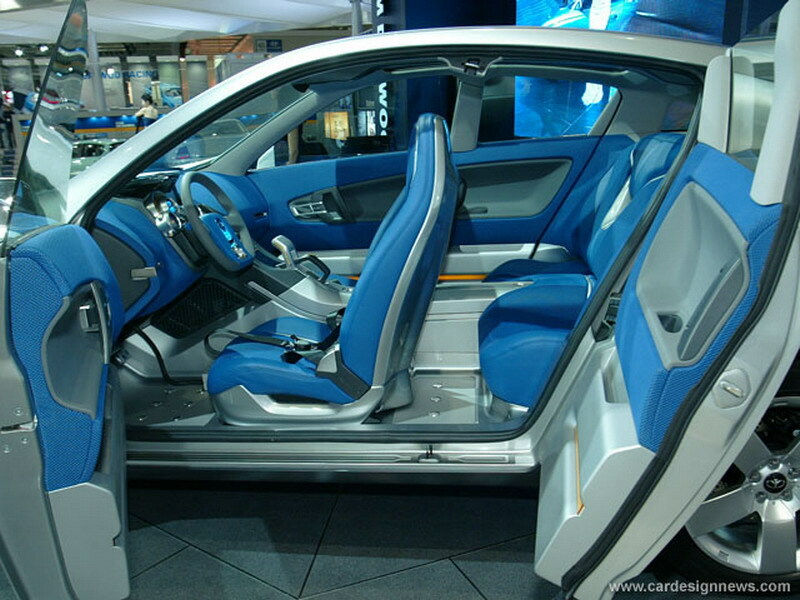 The front seat, with its low hip-position, provides the driver and the front row passengers with a sports car type of ride, while the rear seats have a higher H-point closer to that of an SUV. 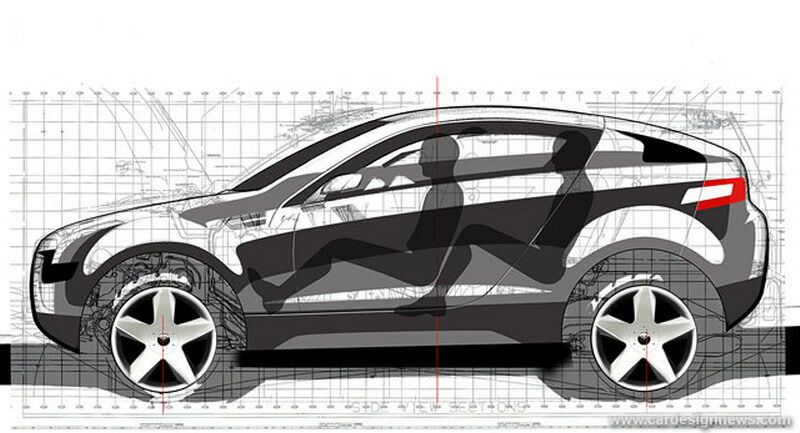 Fully-foldable seats maximize the storage space and utility of the vehicle. The use of materials has a touch of ingenuity, with a 'hard' atmosphere being generated around the lower part of the interior, whilst the upper part of the cabin uses soft, fabrics and other tactile materials. 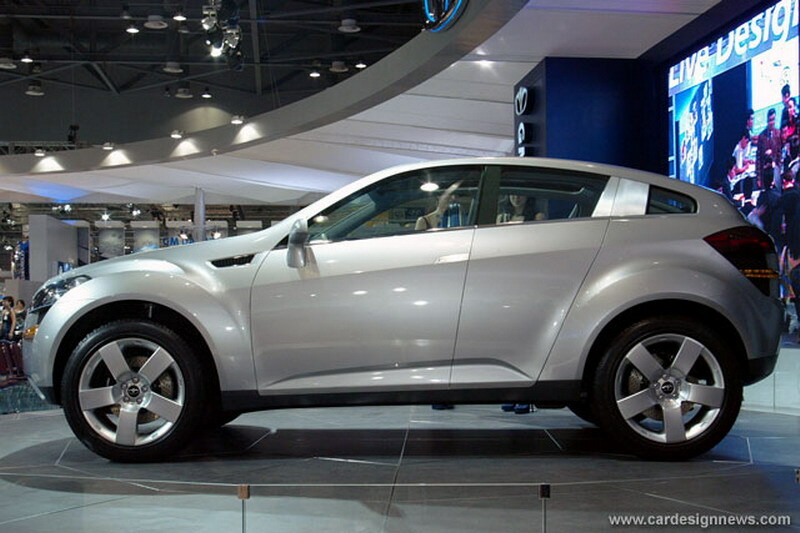 The T2X is based on the same platform as the S3X concept released at the 2004 Paris Motor Show. Key dimensions are: overall length of 4320 mm, width 1856 mm, wheelbase 2707 mm, 20-inch wheels with low profile tires. Vehicles designed and developed at the GM Daewoo Auto and Technology design center in Inchon, South Korea include the Chevrolet Aveo, Matiz, S3X, and the Suzuki Forenza. 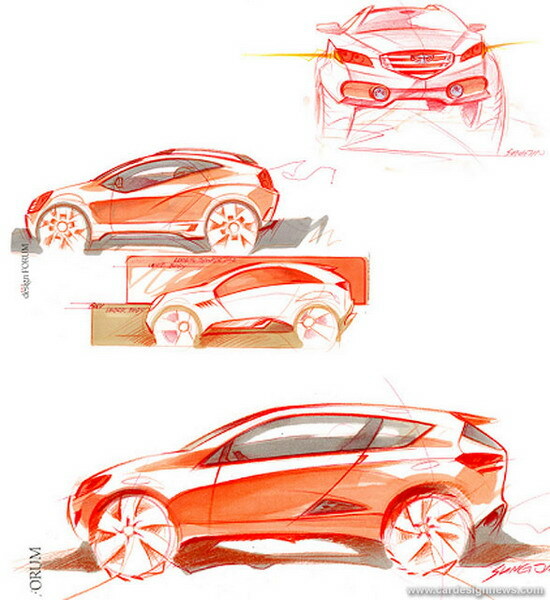 While GM's global strategy no longer includes export of cars under the Daewoo brand, judging from the number of concepts and production vehicles recently developed at GM Daewoo's design center, it seems they will continue to have a vital role in developing the GM image on a global stage. .음..모터쇼에 못갔었는데. 내가 포샵으로 스캔 정리 해주던 차군..그때도 멋났었는데...역시 지엠이 뒤에서 받혀주니 좋은 디자인만 나오는군..현대나 기아도 아직 윗머리들 때문에 이런 디잔 못한다면..젬대우가 점령할 듯..
플랫폼의 그룹내 전용이라면 좀더 다양하고 적극적인 차량들을 선보여줬으면 합니다! 현대도 능력안되는 디자이너 있으면 짤라야 한다. 경력보다는 실력이다. 그게 일본차를 이기는 길이다. 백날 일본 벤치마킹 해봐야 일본의 아류 밖에 더 되냐. 독창적이고 깔쌈한 디자인 좀 만들어 봐라. 대충 흉내만 내지 말고. 신개념 SUV라서 스포츠쿠페형 SUV라고 할수 있는 차가 바로 T2X입니다. 판매량을 고려치 않고 마니아들을 위한 차를 만든다면 충분히 실차로 나올 가능성이 있습니다. 뒷좌석은 좁을수 밖에 없습니다.. 신개념 SUV라서 스포츠쿠페형 SUV라고 할수 있는 차가 바로 T2X입니다. 판매량을 고려치 않고 마니아들을 위한 차를 만든다면 충분히 실차로 나올 가능성이 있습니다. 대신 가격이 약간 비싸지겠죠..
실내디자인만 현실적으로 조금 바꿔서 바로양산하면 대박날텐데......왜 못하는걸까? ?ㅡ,.ㅡ 컨셉카를 바로 양산하는 실력이 국내기업에 무리인가? ?